MARIPA - Today, a truck rolled in with 625 treated mosquito nets donated for use by the people most in need in the Caura Basin. In 2010 several communities there were hit hard by malaria, with more than a dozen deaths. Circumstantial evidence indicates that virulent strains were brought by miners into the eastern upper Caura Basin. The nets that arrived in Maripa, from Caracas, were pre-treated with pyrethrin, the effective insecticide used in millions of African bed nets. In this case the nets are designed for use with hammocks. A collaboration between Caura Weichojo, a Venezuelan non-profit, and The Cacique Isaias Rodríguez Anti-Malaria Project made it possible to obtain these high-quality, custom-designed nets. 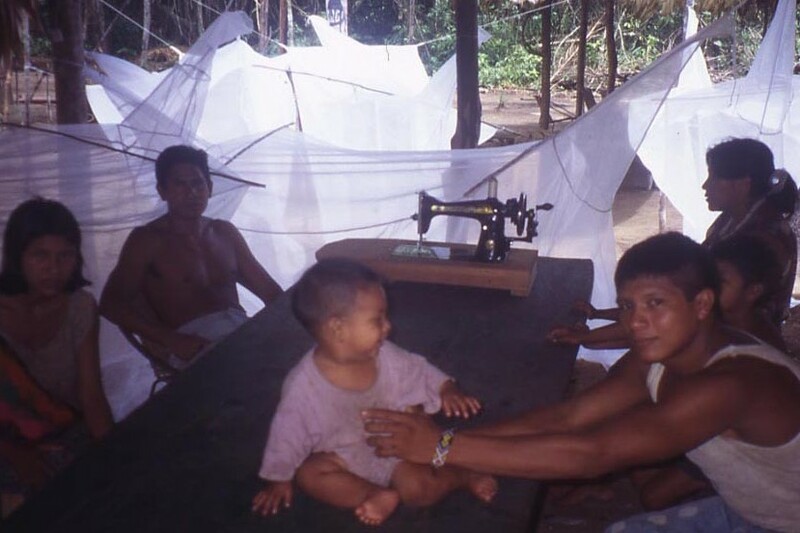 Pioneering research by Dr. Magda Magris of the CAICET (Centro Amazónico para el Control y Investigación de Enfermedades Tropicales) among Yanomami communities of the upper Orinoco Basin showed that hammock nets cut malaria morbidity in half.